• The exterior of the home is structurally sound, including the doors, roof and windows. • The electricity, gas, heat, plumbing and sewer and septic systems function properly. • The interior’s habitable areas are structurally sound, including the ceiling and floors. • The home is capable of being used for its intended purpose. • There is safe access to and from the home. Applicants will be asked to sign a Declaration and Release form stating that they are a U.S. citizen, non-citizen national or a qualified alien. If they cannot sign the Declaration and Release but have a minor child who is a U.S. citizen, naturalized or a qualified alien residing with them, they can apply for assistance on their child’s behalf and no information regarding their status will be gathered. They will be asked to sign a declaration that the child is a U.S. citizen, naturalized citizen, or a qualified alien. • 11 counties, Banner, Cheyenne, Dawes, Deuel, Franklin, Garden, Kimball, Phelps, Sheridan, Sioux and Webster, designated for all PA categories (emergency work and permanent work). • Three counties, Saunders, Stanton and Thurston for Categories C – G (already designated for Individual Assistance and assistance for debris removal and emergency protective measures [Categories A and B], including direct federal assistance). • Six counties, Brown, Harlan, Keya Paha, Lincoln, Merrick and Rock for Categories C – G (already designated for debris removal and emergency protective measures [Categories A and B], including direct federal assistance). Make lists of damaged items. Although FEMA assistance cannot make you whole, it may help your recovery by providing grants for basic repairs to make your home safe, accessible and secure. FEMA assistance may also provide grants for a temporary place for you and your family to stay while you build your recovery plan. By phone, call FEMA’s toll-free registration line at 800-621-3362 or (TTY) 800-462-7585; or use 711 or Video Relay Service (VRS). Telephone registration is available from 7 a.m.
to 10 p.m. Central Daylight Time seven days a week. Visit a Disaster Recovery Center and speak to a FEMA specialist one-on-one. Nebraska homeowners, renters and business in Knox, Thurston, Boone, Buffalo, Custer, Richardson, Butler, Cass, Colfax, Dodge, Douglas, Nemaha, Sarpy, Saunders, Washington counties and the Santee Sioux Nation may apply for federal disaster assistance for uninsured and underinsured damage and losses resulting from severe winter storm, straight-line winds and flooding. Additional counties may be designated as damage assessments are completed. Temporary Housing: Money to rent a temporary place to stay. The cost of a National Flood Insurance Program group flood insurance policy to meet flood insurance requirements. FEMA Disaster Survivor Assistance Teams are working in impacted neighborhoods to help survivors register for assistance and to identify immediate and emerging needs. 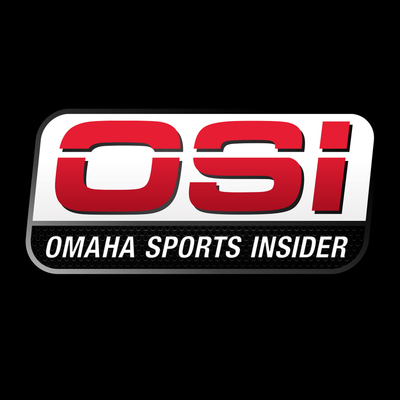 Teams are operating in Boone, Butler, Cass, Colfax, Dodge, Douglas, Nemaha, Sarpy, Saunders and Washington counties. They have visited more than 7.048 homes. Visit: FEMA.gov/DRC or download the FEMA App to locate open disaster recovery centers in your area. To date, NFIP has received 991 flood insurance claims in Nebraska and issued $3,884,510 in advance payments to policyholders. Total paid to date is $5,327,757. Public Assistance (PA) is FEMA’s largest grant program, providing funds to assist communities responding to and recovering from major disasters or emergencies declared by the President. The program provides emergency assistance to save lives and protect property and assists with permanently restoring community infrastructure affected by a federally declared incident. Currently, 65 counties are designated for Public Assistance: Adams, Antelope, Blaine, Boone, Box Butte, Boyd, Brown, Buffalo, Burt, Butler, Cass, Cedar, Cherry, Colfax, Cuming, Custer, Dakota, Dixon, Dodge, Douglas, Fillmore, Frontier, Furnas, Gage, Garfield, Gosper, Greeley, Hall, Harlan, Holt, Howard, Jefferson, Johnson, Keya Paha, Knox, Lancaster, Lincoln, Logan, Loup, Madison, Merrick, Morrill, Nance, Nemaha, Nuckolls, Otoe, Pawnee, Pierce, Platte, Richardson, Rock, Saline, Sarpy, Saunders, Scotts Bluff, Seward, Sherman, Stanton, Thayer, Thurston, Valley, Washington, Wayne, Wheeler and York. Five Tribal Nations are designated for Public Assistance: Omaha Tribe of Nebraska, Ponca Tribe of Nebraska, Sac and Fox, Santee Sioux Nation and Winnebago Tribe. The counties and Tribal Nations are eligible for reimbursement for debris removal and emergency protective measures (Categories A and B), including direct assistance, at a federal cost share of at least 75 percent. NEMA has set a briefing schedule for Public Assistance grant candidates. The briefings are for state businesses, counties, cities, sanitary enhancement districts, public energy districts, natural assets districts and other public entities that experienced injury from the March flooding. As local communities coordinate their debris removal process, the NEMA, Nebraska Department of Environmental Quality and FEMA advise residents not to wait to clean up. Document damage with photos or videos. Separate debris into categories and place at the curb. Debris should not block the roadway. Nebraska Labor Commissioner John H. Albin announced that workers who became unemployed as a direct result of flooding in the state may qualify for unemployment assistance. People who live in or worked in the counties designated for FEMA Individual Assistance, and whose employment or self-employment was lost or interrupted due to the flooding, may be eligible for assistance. Individuals can generally receive up to 26 weeks of DUA benefits as long as unemployment continues to be a result of the disaster. Eligibility for DUA benefits will be determined on a week-to-week basis. General information about DUA can be found at dol.nebraska.gov/UIBenefits/Programs/DUA. 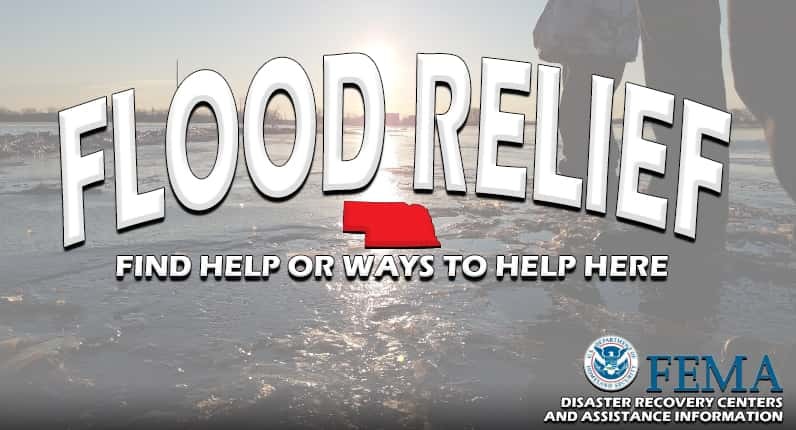 Low-income Nebraskans recovering from recent flooding could be eligible for food benefits through the Disaster Supplemental Nutrition Assistance Program (D-SNAP) approved March 28 by the U.S. Department of Agriculture (USDA). USDA offers many programs that can provide assistance to landowners, farmers, ranchers and producers during disasters. The Emergency Conservation Program provides funding for farmers and ranchers to rehabilitate farmland damaged by wind erosion, floods, hurricanes, or other natural disasters and for carrying out emergency water conservation measures during periods of severe drought. The Emergency Watershed Protection Program helps protect lives and property threatened by floods, hurricanes, tornadoes, and wildfires. Programs also are available for orchardists and nursery tree growers to replant or rehabilitate eligible trees, bushes and vines damaged by natural disasters. For those livestock owners with honeybees or farm-raised fish, assistance is available through the Emergency Assistance for Livestock, Honeybees, and Farm-Raised Fish program. Emergency grazing has been authorized on Conservation Reserve Program acres for all counties in Nebraska until April 30. For information on these programs, contact your local USDA Farm Services Agency prior to conducting any repairs. Individuals who reside or have a business in counties designated for FEMA Individual Assistance may qualify for tax relief. For instance, taxpayers with certain deadlines falling on or after March 9, 2019 and before July 31, 2019, are granted additional time to file through July 31, 2019. This includes 2018 individual income tax returns and payments normally due on April 15, 2019. It also includes the quarterly estimated income tax payments due on April 15, 2019, and June 17, 2019. Eligible taxpayers will also have until July 31, 2019 to make 2018 IRA contributions. Individuals can generally receive up to 26 weeks of DUA benefits as long as unemployment continues to be a result of the disaster. Eligibility for DUA benefits will be determined on a week-to-week basis. The filing deadline is April 26, 2019. General information about DUA can be found at dol.nebraska.gov/UIBenefits/Programs/DUA. Homeowners and renters located in Nebraska counties declared federal disaster areas and who sustained damages caused by winter storms, flooding and straight line winds… should register with FEMA. Survivors with storm losses can register by calling 1-800-621-3362 or by going online to disaster assistance.gov. Help from FEMA can include rental assistance, home repairs and other disaster-related expenses not covered by insurance. The assistance FEMA provides is limited and intended to meet survivors’ basic needs and to help jump start recovery efforts. Businesses and residents can visit www.SBA.gov/disaster, call SBA’s Customer Service Center at 800-659-2955 or email disastercustomerservice@sba.gov. TTY users may also call 800-877-8339.